The GX65 comes complete with a pre-loaded database of “safety cameras,” including red light and fixed position speed cameras throughout North America. 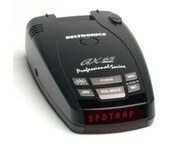 You can even mark your own locations like school zones and local speed traps for future reference. Reach your destination quickly and safely, with a little assist from cutting edge technology! 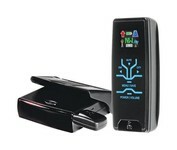 You'll stay alert and updated on highway and traffic conditions with this compact, sensitive device. It comes with a GPS Locator and Lifetime Subscription to AURA™ Database to alert you to verified Speed and Red Light Camera locations, dangerous intersections, and reported Speed Trap locations for entire United States and Canada. 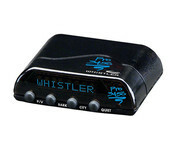 The RMR-D240 is a completely integrated radar/laser detector which responds not only to all the radar guns in use today, including “Stalker”, but also to the other latest development in speed monitoring devices- the laser gun. 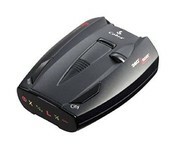 The Cobra ESD-7000 radar detector responds to all types of radar currently in use, and provides 360 degree detection of all types of laser guns. 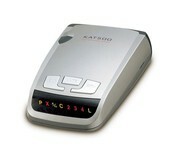 The Cobra ESD-7000 is immune to the VG-2 detector, and the Spectre I detector. Basic support is included for the Safety Alert® system as well.